Bomb Jack was released into the arcades in 1984. 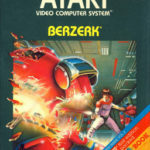 It's a platform game released by Tehkan which is known today as Tecmo. 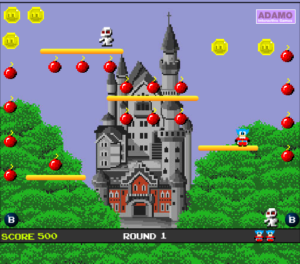 Bomb Jack was ported to various home video game console as well as home computers thought the years. Use the cursor keys to move Bomb Jack around the screen. Use the space bar to jump.